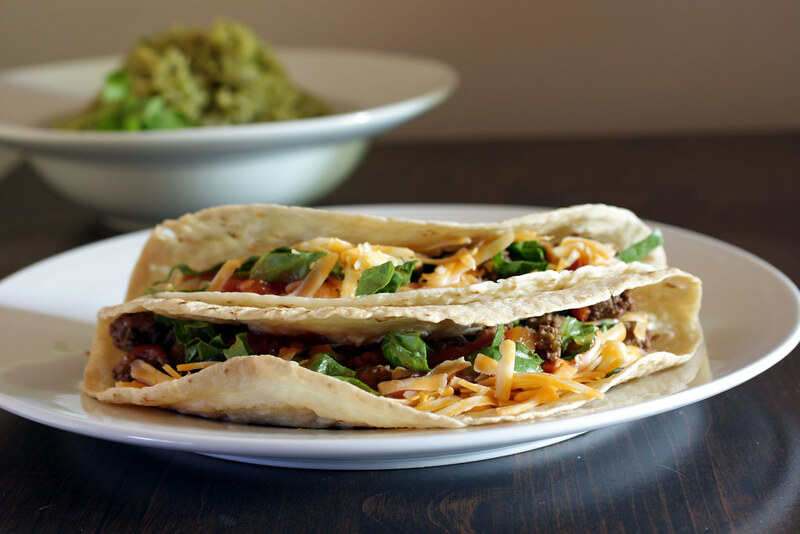 Remember when taco night meant a quick dinner? The kits contained a seasoning packet, taco sauce, and hard or soft shells. All you had to supply was the beef, lettuce, tomatoes, and cheese. Those little seasoning packets made quick work of the beef, but have you ever looked at the label? Here are the ingredients for one popular brand: Yellow Corn Flour, Salt, Maltodextrin, Paprika, Spices, Modified Corn Starch, Sugar, Garlic Powder, Citric Acid, Autolyzed Yeast Extract, Natural Flavor, Caramel Color (sulfites). Sugar? Maltodextrin? Are two forms of sugar really necessary for tacos? It’s scary stuff. 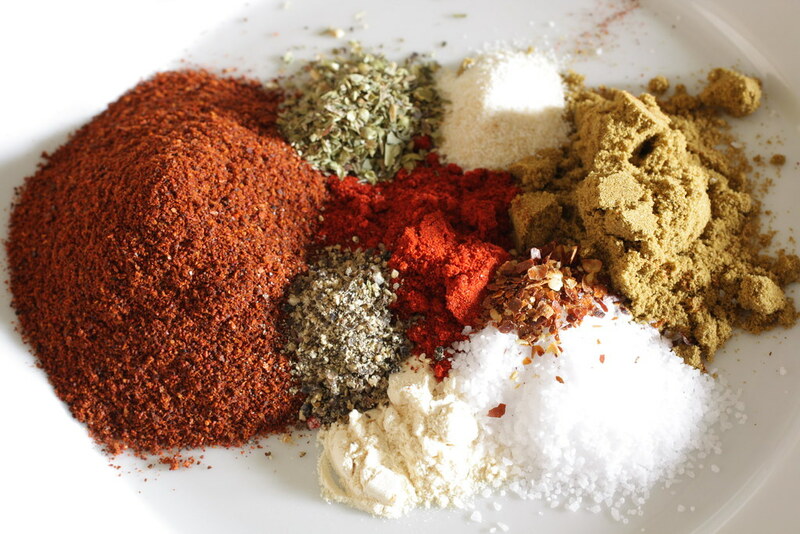 The good news is that it’s easy to make your own seasoning mixture from spices you probably already have. 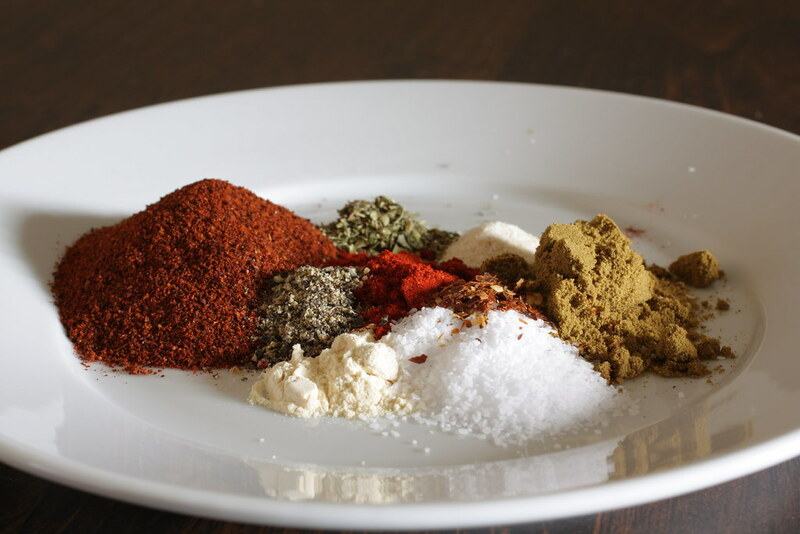 I go through this mixture rather quickly, as I also use it to season leftover shredded chicken to make quick chicken nachos or chicken tacos on a night when I have no energy to cook – just add a couple squirts of lime juice, and you’re set. Mix all spices (adjust the amount of cayenne or red pepper flakes depending on how much heat you want) together in a glass jar and stir to combine. Store covered. Heat 1 tablespoon oil in large saute pan over medium heat. Add onion and cook about 5 minutes. Add peppers and cook until peppers are soft and onion is translucent, about 5-7 minutes. Add garlic and cook until fragrant, about 1-2 minutes. Spread pepper mixture to outside of pan and add the beef to the middle. Brown one side and season the other with 1 tablespoon of taco seasoning. When beef is browned, flip it over and brown the other side. Break up the meat and brown the pieces. Begin mixing the peppers in with the beef. When the beef is cooked through, taste for seasoning and adjust as needed. I like to use about 2 tablespoons of seasoning, and a little extra salt and pepper.